Secondary Mastery Open Mornings at Tring School will allow you to observe a mastery style Mathematics lesson taught by a specialist teacher. You will then have an opportunity to discuss what you observed and ask questions of our Secondary Mastery Lead, Rosemary Hobson. Each school is limited to a maximum number of two places. 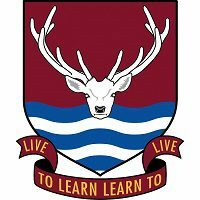 To comply with the safeguarding policy at Tring School, we kindly ask you to bring some form of photo ID to the session; your staff badge will suffice if your photo is on it. Many thanks. Please proceed to Reception upon arrival, where you will be able to sign-in and your photo will be taken.